PHOENIX, March 28, 1999 - Jeff Sinden and Joe Kennedy have stuck with the Nissan Infiniti engine since the Pep Boys Indy Racing League went to normally aspirated engines in 1997. When Gene Harrington decided to form a team for his son Scott for the 1999 season, he chose the Infiniti. Marty Fiolka has been the publicity director for Infiniti, promoting the engine as the Aurora powerplant has won every league race and dominated the series. Sunday's MCI WorldCom 200 at Phoenix International Raceway was his final race before he moves on to a new job. These long-suffering folks didn't get a victory at Phoenix - that went to driver Scott Goodyear in the Pennzoil Panther G Force/Aurora/Goodyear - but they all had reason to celebrate. Robbie Buhl charged to third place and provided the engine its first podium finish in a full-distance race. 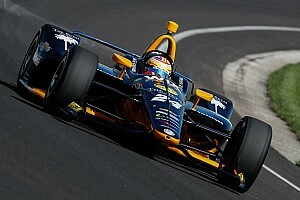 And Harrington, driving in only his fourth Pep Boys Indy Racing League event, brought his car home in fifth. It was only the second time that a pair of Infiniti-powered cars had claimed two of the top five positions. 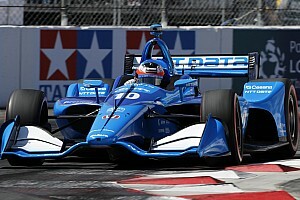 "We needed to be up on the podium, especially being back in my hometown," said Sinden, a native of Tucson, Ariz. "We really feel the Infiniti is capable of winning." Said Harrington: "It was great knowing I can do it. It was great for Infiniti and Firestone. They (Aurora-powered opponents) didn't have anything on us on power." The most heartwarming part of the story is that both teams are not big-budget operations. Buhl came to his new team after driving for the high-profile, high-budget Team Menard in 1997 and 1998. Buhl also has driven for low-budget teams. "I learned a lot with Menard, and it is helping with this team," he said. "But we're not staying at the Biltmore." Jeff Ward passed Buhl and his Dreyer & Reinbold Racing Dallara/Infiniti/Firestone late in the race to take second. But Buhl held off A.J. Foyt driver Billy Boat to claim his fifth podium placing (including a 1997 win at New Hampshire) in 21 events. The bottle of champagne he was handed easily could have been packaged away for an even greater special event on Easter Sunday. On that day he will marry Becky Brayton, widow of late driver Scott Brayton, in Florida. Menard released Buhl at the end of last season. Buhl put his racing future on hold while he did some management revamping at his car dealership in the Indianapolis area. One day in December, Buhl received a call from the Sinden team, and Sinden and Kennedy suggested that he come down to Orlando, Fla., for the season opener and try to pick up some points in their car. Then Dennis Reinbold came on board as a sponsor. "That was my first with an Infiniti," Buhl said. "The engine has come a long way since that race." 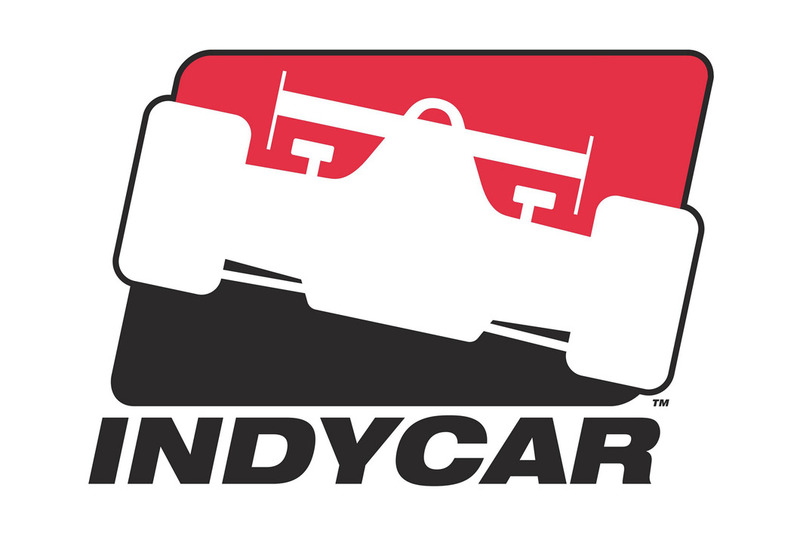 Harrington has been trying to move full time into the Pep Boys Indy Racing League ranks since the league's inception in 1996. His father, Gene, a Louisville businessman, finally decided to back his son for the 1999 season. "We wouldn't be here if I didn't know that we could be successful," he said. "Darrell Soppe is our engineer. He is the key to the whole thing." The younger Harrington called it a wild race. He was an unwitting participant in an accident that took out former Indy 500 champions Eddie Cheever Jr. and Buddy Lazier, battling each other for the lead at the time. A car slowed in front of Harrington, he said, and he came off the throttle. "We all fanned up (to the outside wall between Turns 3 and 4), and I got hit from behind," he said. 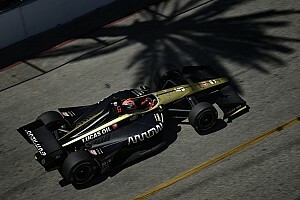 Harrington's Dallara kept going and became the last car to finish on the lead lap. "It was a pretty aggressive race," he said. "The series is so competitive you can't give an inch. You let up for one second, and five cars go by you." On being complimented for his fifth place, he said: "I'm a racer. I'd rather be in the top three." As for Fiolka, it was a nice going-away present. He departed with a grin instead of a frown and slumped shoulders.